Next post: A Chick Comparison- Oh how they grow! I forgot to mention that I like to peel the potatoes and chop them into edible bites, usually quarters. But you can do it however you want. Also, it is very easy to double this recipe and freeze. Just do not add the kale until the soup is ready to be heated up again. This way it is not soggy or discolored from sitting in the soup frozen and thawed again. I will double this recipe in all aspects except the meat (b/c I forgot to buy more), and freeze half of it. 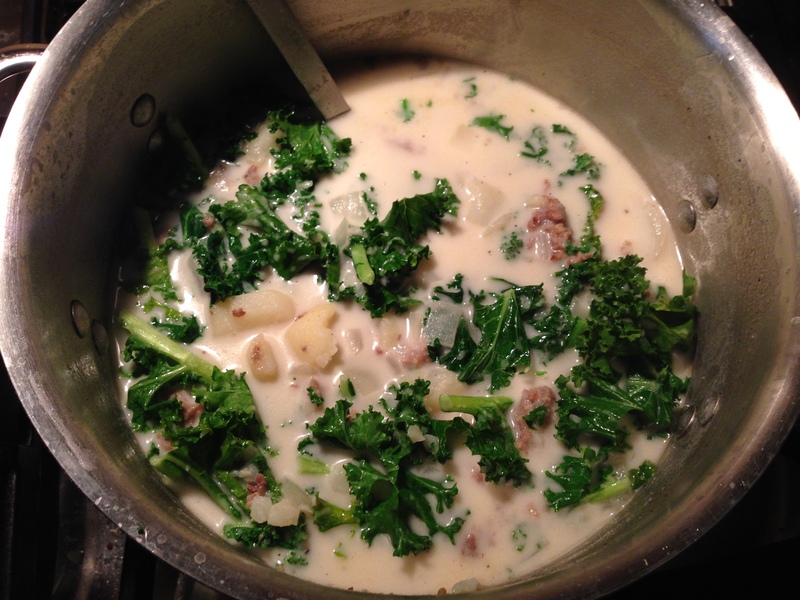 It is so easy and so good, I can’t help but love the leftovers with fresh kale in it! Enjoy!